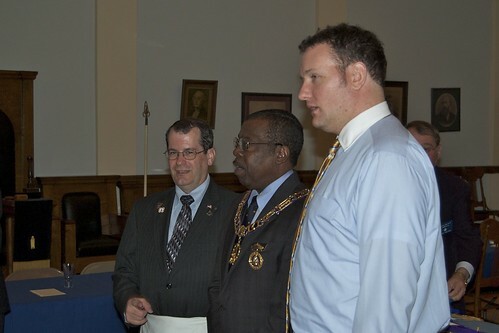 The Public Installation of Officers took place on Sunday, November 21, 2010. 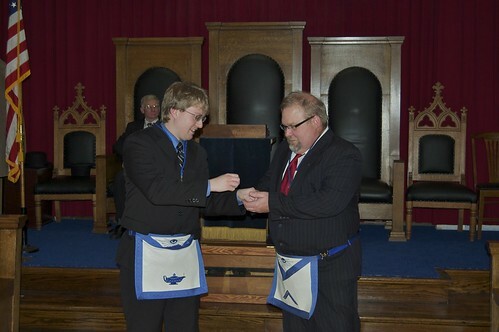 Worshipful Master Steve Bernhardt presenting Past Master and Lodge Education Officer Nick Johnson (P.M.) with his Masonic pocket watch. 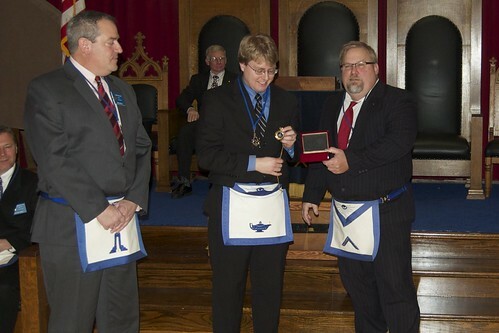 Past Master and Lodge Education Officer Nick Johnson (P.M.) and Worshipful Master Steve Bernhardt present each other with their new Lodge Officer pins. 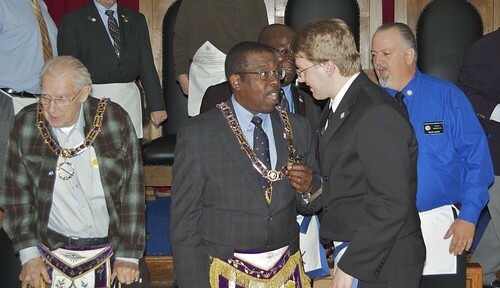 Installing Master Michael Lucast (P.M. 1997) and (then) Worshipful Master Elect Steve Burnhardt discussing the ceremony. 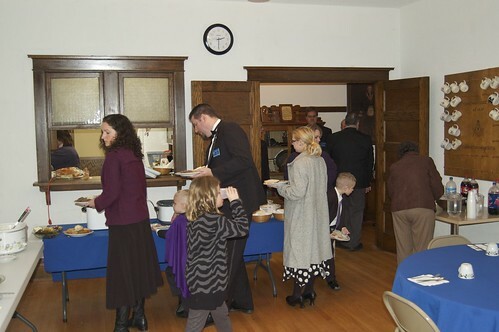 Worshipful Master Steve Bernhardt held an incredible meal with plenty of fellowship after the ceremony. 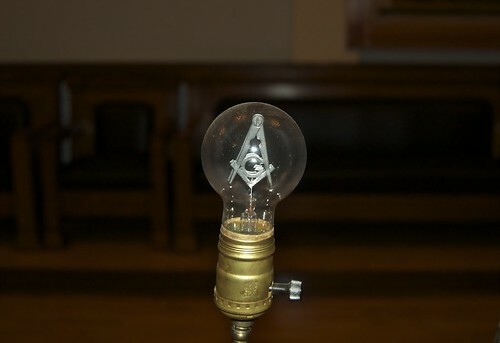 On November 17th, Lebanon Lodge No. 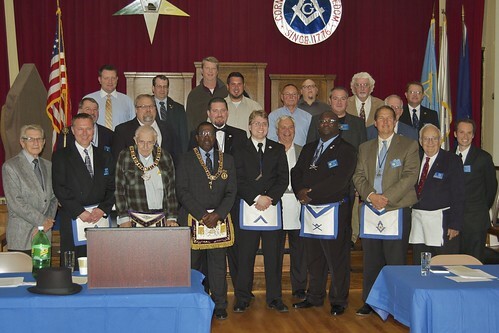 346 held it's Fellow Craft degree at Corinthian Lodge. Five Lebanon brothers were passed to the degree of Fellow Craft. 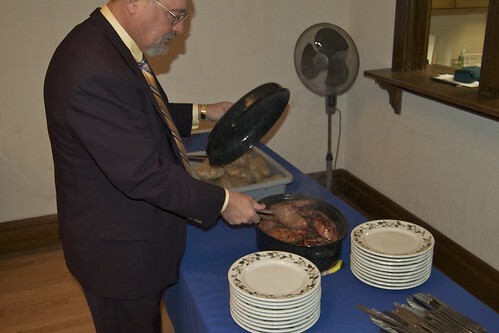 Corinthian Lodge held it's annual Lodge Election and Steak Fry on Tuesday night. 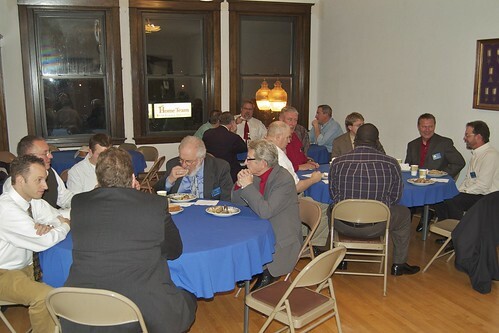 Brothers and potential candidates feasted on a meal of steak, baked potatoes, and salad prepared by WB Hugh Swift (PM 1991, 2002, and Hiram Award 2010). WB Hugh's election night steak fry has become an eagerly anticipated event over the years. The Lodge would like to thank WB Hugh for the wonderful meal. 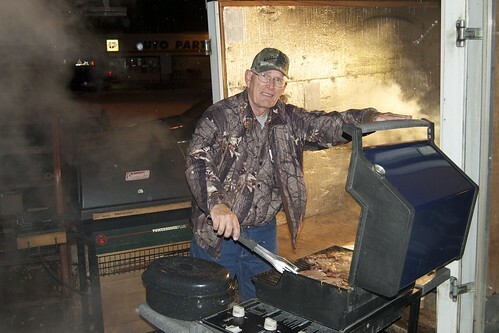 WB Hugh Swift (PM 1991, 2001, Hiram Award 2010) cooking steaks on two grills out behind the Lodge building. WB Randy Poulson (PM 1989) preparing the serving tables. 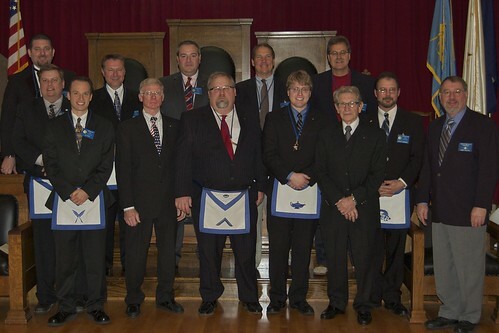 After dinner, the Lodge was opened and the annual election of officers took place. 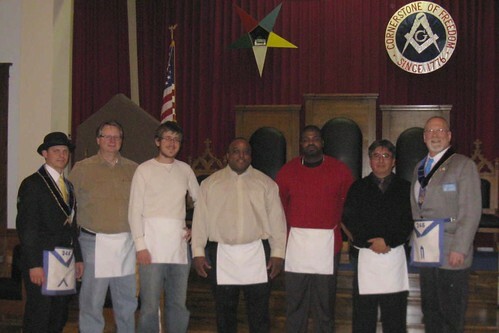 Corinthian Lodge No.67 held an Entered Apprentice Educational Table Lodge on October 19th. The table lodge format created a festive and interactive setting, punctuated by serious degree work. 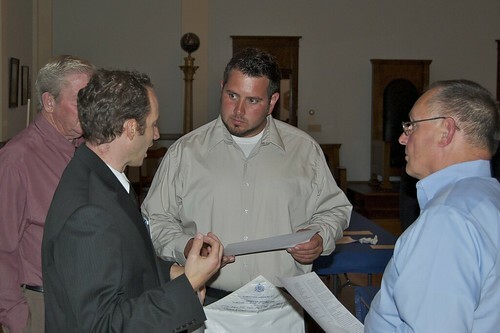 It gave the three candidates (now Entered Apprentices) a good chance to meet the Brothers and experience the spirit of the Lodge. 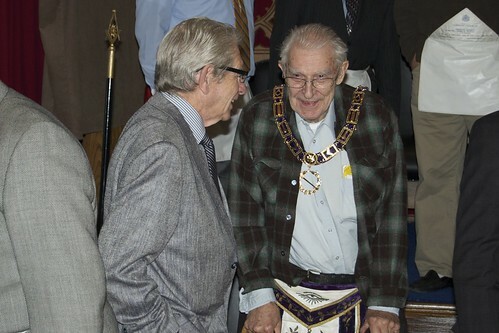 This was the second EA Table Lodge held by Corinthian Lodge, and it has proven to be a popular event. 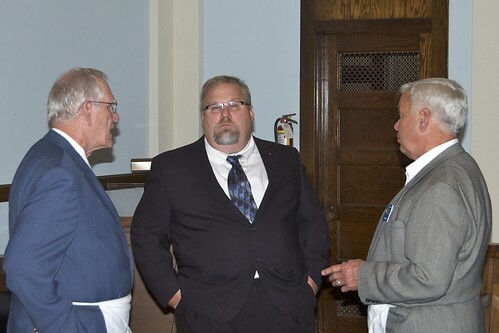 Most Worshipful Brother John L. Cook, Jr., Grand Master of Minnesota, and Worshipful Brother Henry L. Johnson, Assistant Grand Tyler were present, as well as guests from several other lodges. 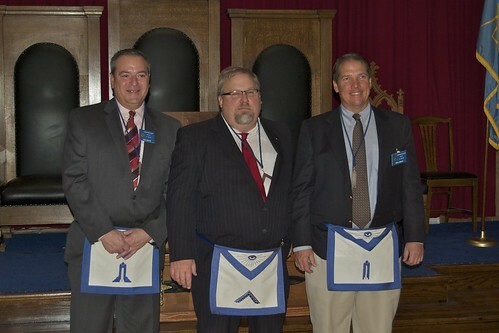 Corinthian Lodge would like to thank all the guests and participants for their support and encouragement. 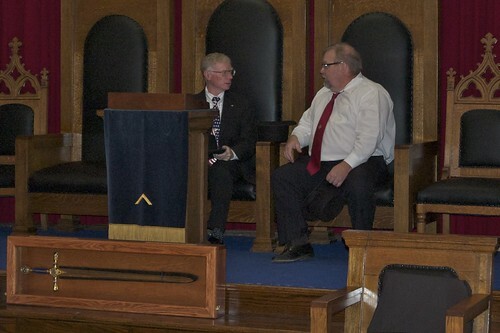 With special thanks to Merle Cole and Mike Bell for their great performances of the 2nd and 3rd lectures. Corinthian Lodge honored Brother Jarrod Grudzinski for his hard work helping make the Dew Days Pancake Breakfast fundraiser such a success. Brother Jarrod took on a number of tasks, as well as going above and beyond working on the details that made the event look so polished. 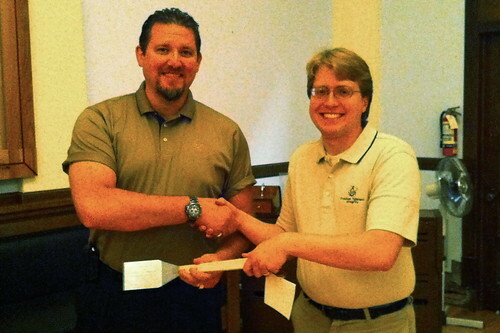 The event brought in several thousand dollars to benefit Corinthian Lodge's High School College scholarships fund. Thank you Brother Jarrod!